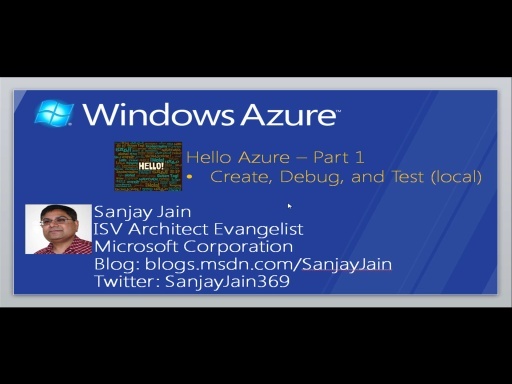 In this "Hello Azure Part 2" episode of How DO I series, let's package and deploy our Hello Azure application. The video stalls at 4:15, only the sound goes on to the end. This was very useful. I like your short videos, gives me a chance to watch them anytime I have 5 minutes free, and is about the amount of information that I can hopefully remember the next day. The resolution of the video is not so great, the characters are cloudy, is it a capture problem or is there anything I have to do on my side? Thanks for the feedback @Adrian: I didn't use Zoom & Pan feature in this video, maybe that's the reason for text resolution. How is the resolution for other videos? 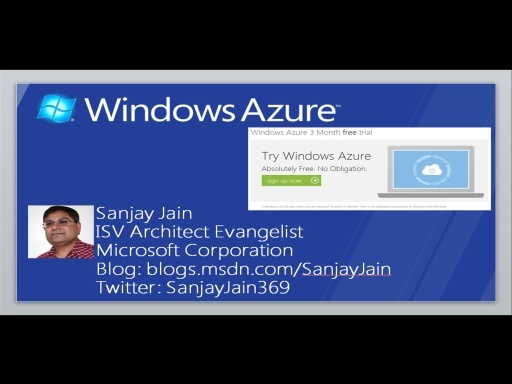 Mister Sanjay Jain i whant to thank you for your video tutorials.